Fans of Ubuntu can go run to their calendars and pencil in the entire month of October as the time frame for the release of Ubuntu smartphones. According to Mark Shuttleworth, the CEO of a company that provides services for corporate customers using Ubuntu, the devices will be ready for launch sometime in October with developer units being ready to ship later this month. It’s sort of interesting to think that there is now going to be another operating system competing with iOS, Android, Windows, BlackBerry, and Symbian. While Ubuntu will surely find their niche market with no issue, will it be worth it at that point? For the few that do decide to jump onto the platform, it will more than likely be an uphill road for the first while, as developers slowly churn out apps for the platform to boost its usability. Either way, we know that Android fans have always had a certain liking for open source software. So, you may be asking yourself, “Where and when will they be taking my money?” As said by Mr. Shuttleworth, availability will be limited to “two large geographic markets” in October, but he didn’t promise one of those two was the States. Although, he did mention the U.S. was “absolutely a key market.” If we are such a key market, then stop playing with our emotions and release it here. 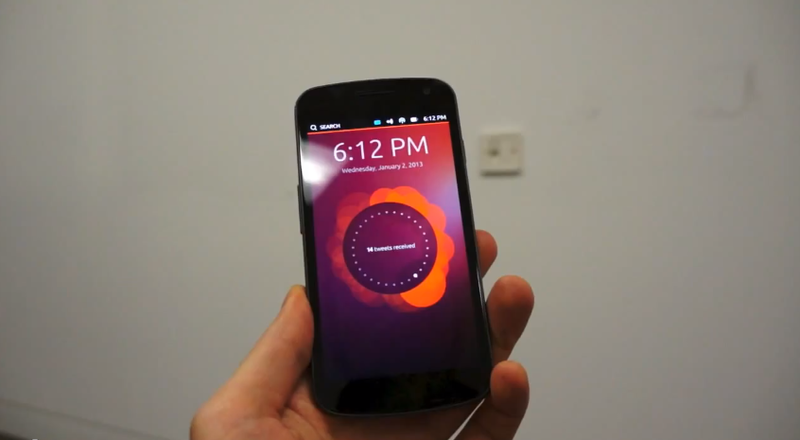 To familiarize yourself with Ubuntu for mobile, check out The Verge’s hands-on below. When it launches, are you making the switch? LG Teases MWC Unveiling With "Unlimited Possibilities"